​The “Memory Project” is a charitable nonprofit organization that invites art students to create portraits for youth around the world who have faced substantial challenges, such as neglect, abuse, loss of parents, violence, and extreme poverty. While developing new art skills, students were also practicing kindness, and global awareness. Three of Collingwood’s grade 9 art classes were sent photos of fifty-five Syrian children currently residing in a refugee camp on the Jordan Border. Between the three classes, we worked on these children’s portraits as the major project of our first term drawing unit. 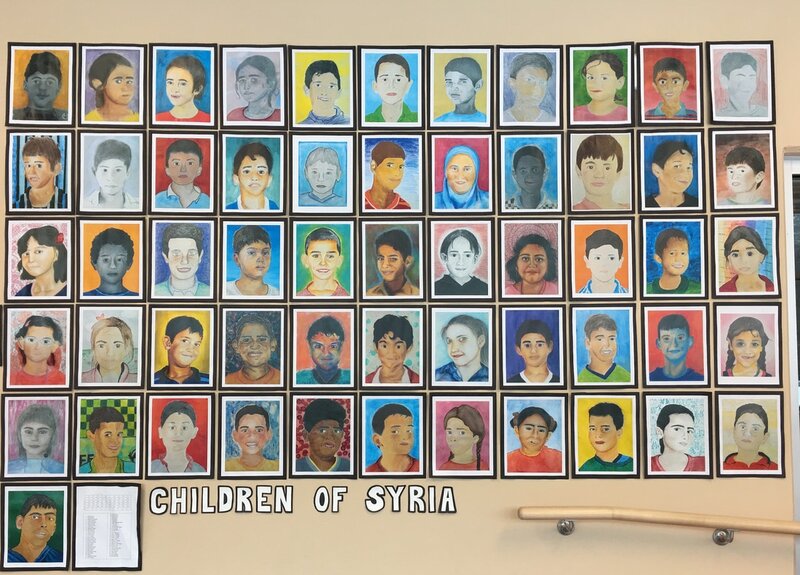 Upon completion of the artwork, the portraits were then sent to Syria as gifts for the children. Later in February, we will be receiving a video of this delivery. The students seemed to really enjoy taking part in this initiative, and put a lot of care and hardwork into the images they created. The art department hopes to keep it going in the next couple of years!